Vocabulary plays an important role in your child's life as a reader. Preview challenging vocabulary before independent reading. As your child comes across new and difficult words, create flash cards. 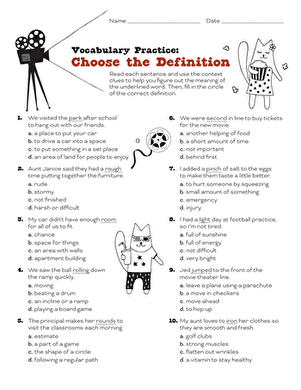 These can be study tools that help build a strong vocabulary. Make it fun and give him mini-quizzes with the flash cards. See how fast he can recall the definitions of the words, and challenge him to use the words in original sentences! Vocabulary is an integral part of your students' success as readers! Use different strategies to support your students as they add new words to their vocabularies. 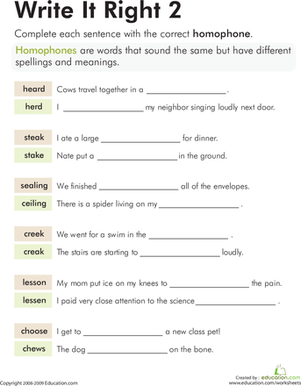 Continue your study of homophones, and teach your students to use flash cards to study definitions. Get your students fired up about learning new words by making it fun! Choose a few vocabulary words each week from relevant text or content for the whole class. 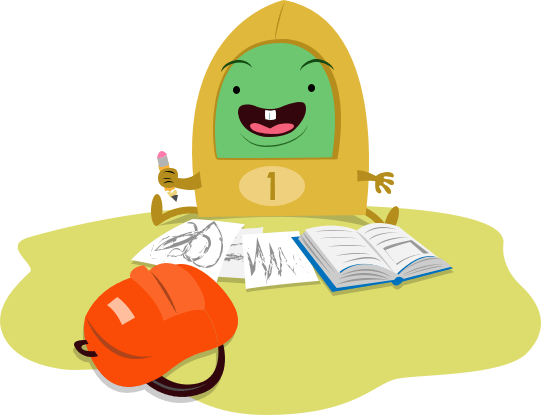 Create flash cards, play games, and give your students mini-quizzes on the new words. Repetition is key when learning new vocabulary words. 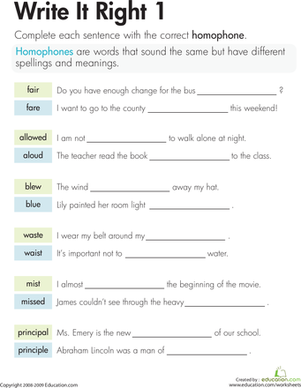 In this third grade reading worksheet, kids complete sentences with the correct homophones, or words that sound alike but have different meanings and spellings. Multiplication fact fluency is as important now as it was at the beginning! Continue to support your child as he works to master the multiplication facts. 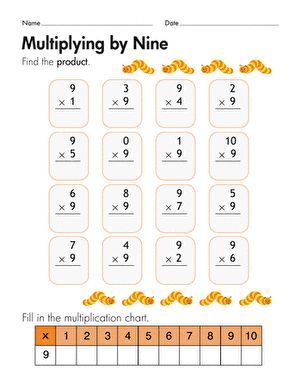 Help your child get a firm grasp on the 9's multiplication facts by teaching him the 9's trick with his fingers. Watch his confidence increase as he now has an easy way to remember this more challenging set of facts. Your students still need to practice their multiplication facts throughout the year. Fact fluency is a key component to building strong math skills. Teach your students the 9's trick for multiplication facts and watch their confidence soar! Kids completing this third grade math worksheet multiply by 9 to solve each equation and also fill in a multiplication chart for the number 9. Sometimes it's okay to use your hands! Check out this popular strategy for solving those tricky 9s times tables. Have your child help Pink Fishy by tackling these simple multiplication problems. 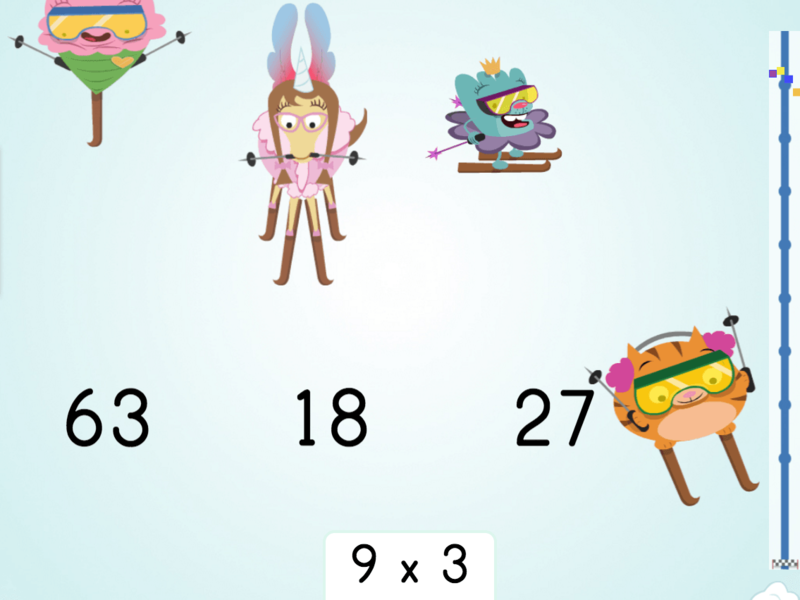 Test your little math ninja's speed with times tables! She'll practice multiplying by 9 with both basic times tables and a few equations with bigger numbers. 9 is just one less than 10! 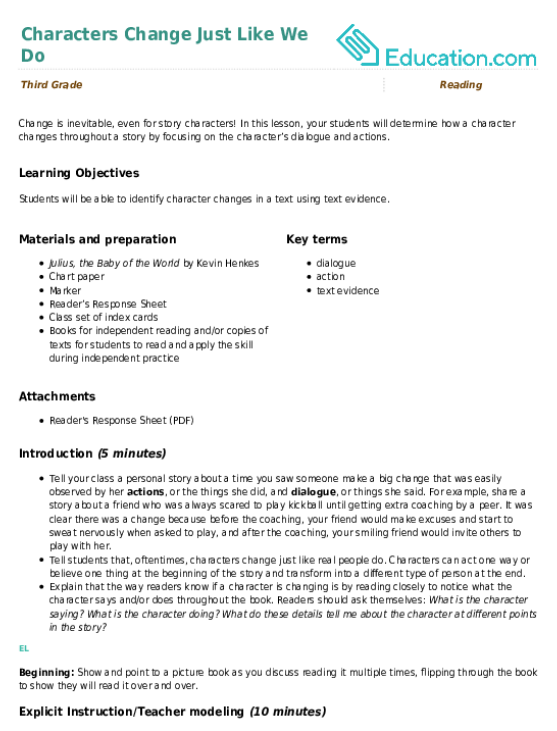 Use that fact to practice the 9's multiplication facts in this fun ski racer game. 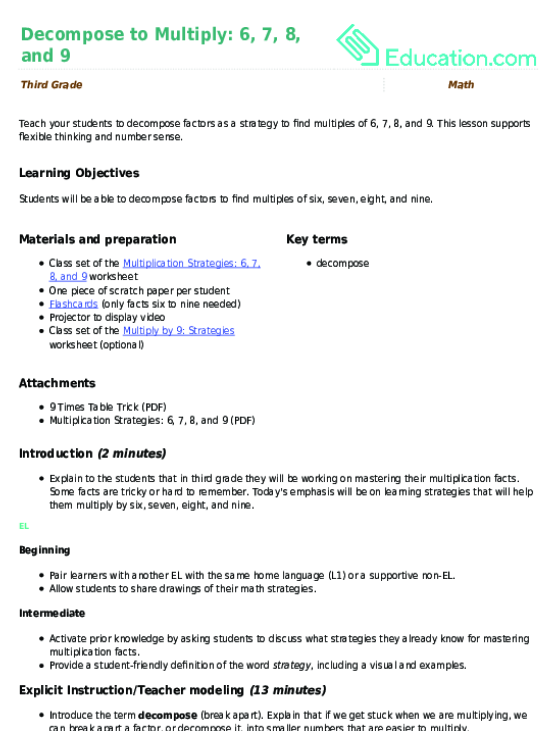 Teach your students to decompose factors as a strategy to find multiples of 6, 7, 8, and 9. This lesson supports flexible thinking and number sense. Book reports are a fun way for readers to show that they understand the story! Support your child as he prepares a book report by going over the rubric and expectations. Make sure all components are present and that your child has created a clear report based on the elements he is required to include. 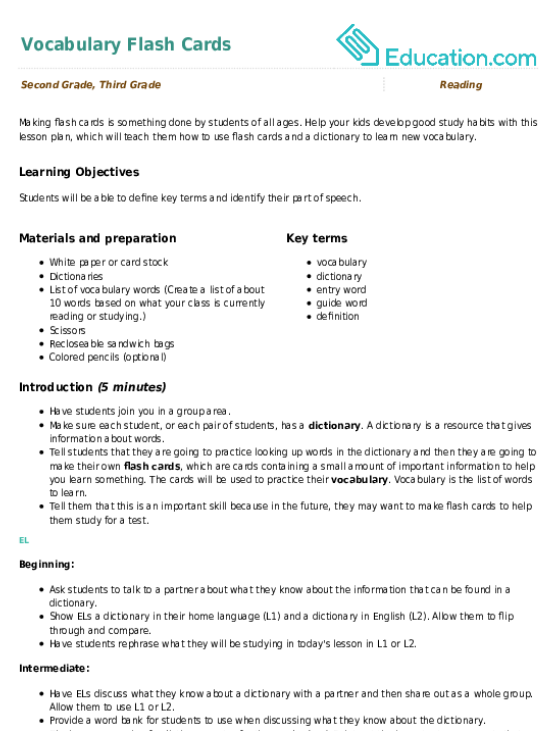 Last but not least, have fun and be creative! Book reports are a fun way to engage students in their reading! 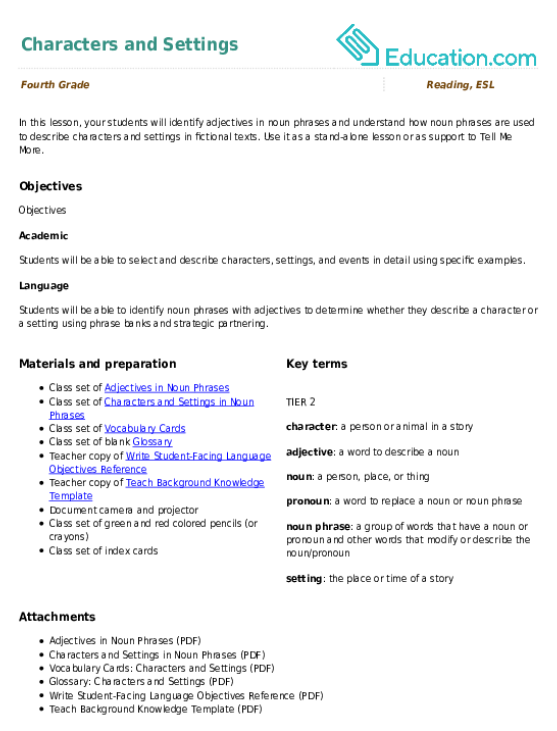 When giving your student projects, provide a list of directions and expectations in the form of a rubric. 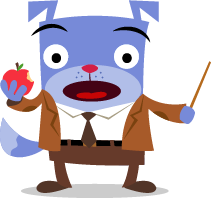 This allows your students to know what you expect and how to proceed with the project. Be sure to place the most emphasis on the students' understanding and explanation of the text. Invite students to share their favorite character from a book with a pen pal! Students will fill out details about their favorite character on this postcard. Create conversations about character changes! 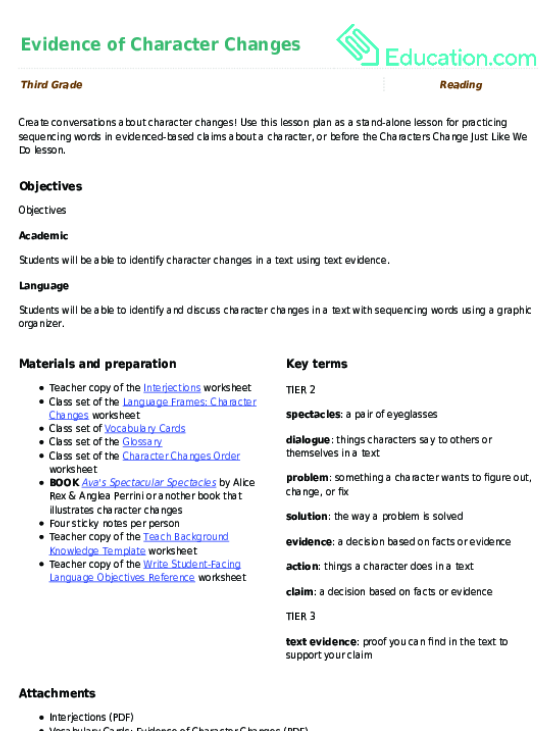 Use this lesson plan as a stand-alone lesson for practicing sequencing words in evidenced-based claims about a character, or before the Characters Change Just Like We Do lesson. 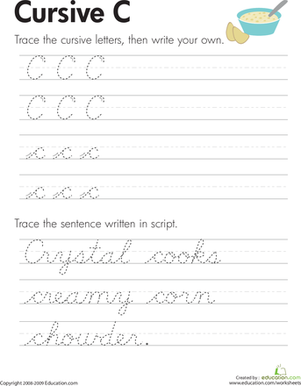 Cursive handwriting and typing are life skills! 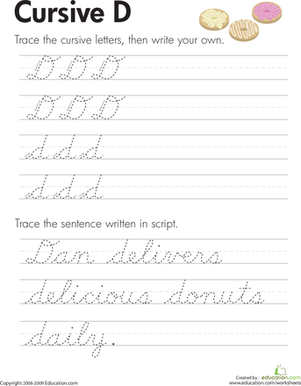 Help your child practice writing cursive letters independently and then teach him how to string letters together to make words. 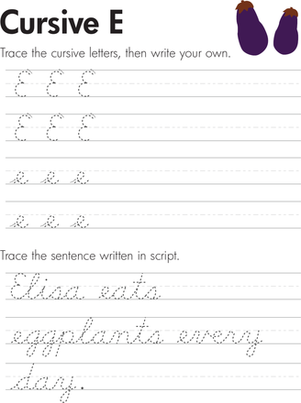 Cursive handwriting and typing are important life skills! 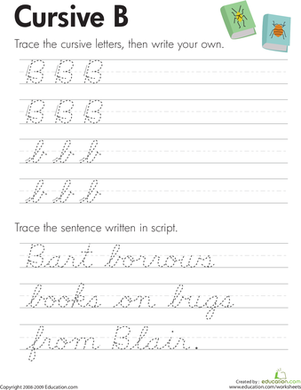 Support your students as they learn how to use cursive handwriting by teaching the letters in isolation. 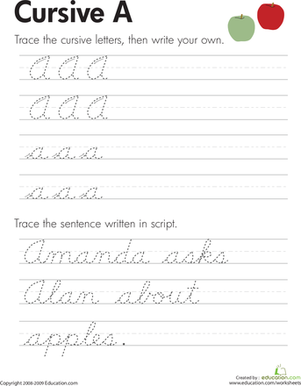 Then, teach your students how to string letters together to form words.